I’m proud to announce that Chinternet Ugly, a new group exhibition which navigates the messy vitality of China’s online realm, will shortly be opening at the Centre for Chinese Contemporary Art (CFCCA) in Manchester. The exhibition features work by Miao Ying, Ye Funa, Lu Yang, Lin Ke, Liu Xin and aaajiao and was co-curated by myself and Marianna Tsionki (Research curator at CFCCA). The exhibition will run from 8th February to 12th May – for anyone interested in learning more about how contemporary art in China intersects with the internet please do pay CFCCA a visit! 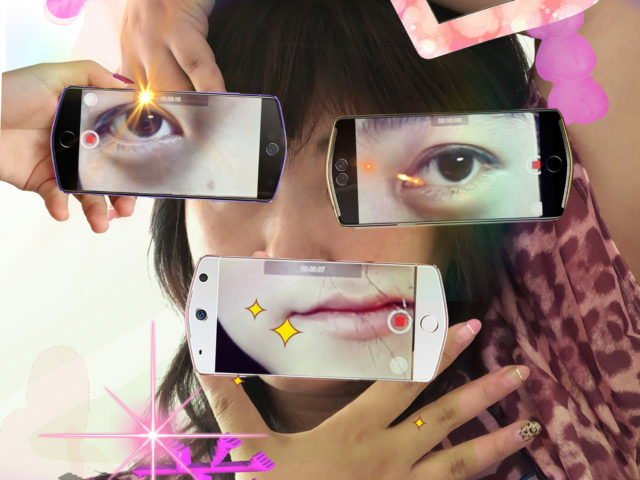 ‘Chinternet Ugly’ navigates the messy vitality of China’s online realm, a space where artists can engage, play and debate. This exhibition features works by six leading new media artists and includes new work by Miao Ying, co-commissioned by CFCCA and University of Salford Art Collection. the sheer volume of Internet users in China ensure that the country is effectively becoming its own online centre of gravity, one with the power to create its own sphere of influence over network norms. Focusing on a younger generation of artists – the first to have grown up with mass digital technology – ‘Chinternet Ugly’ invites the viewer to explore the complex and contradictory nature of China’s hyper-regulated digital sphere from the perspective of some of its most dynamic and engaging artists. 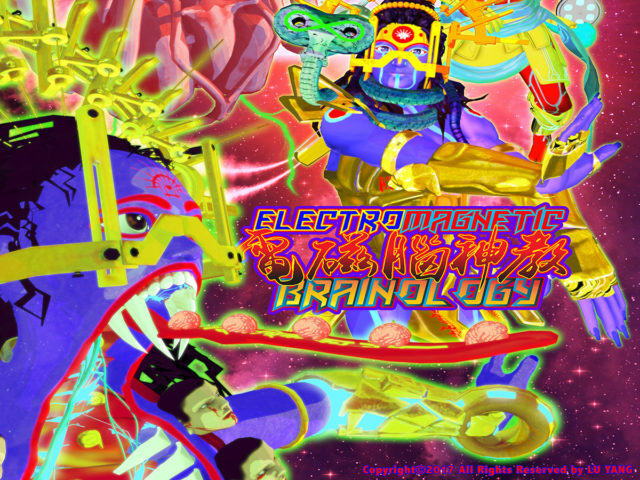 From Xu Wenkai (aaajiao) and Lin Ke’s manipulations of found digital materials and standard software programs; to the augmented reality of Lu Yang; the celebratory pop aesthetics of Ye Funa to the dark side of internet freedom in the works of Liu Xin, and the veneration of the ugly and artless evident in the works of Miao Ying. To mark this exhibition CFCCA are delighted to announce a co-commission in partnership with the University of Salford Art Collection of a new work by Miao Ying: Love’s Labour’s Lost. 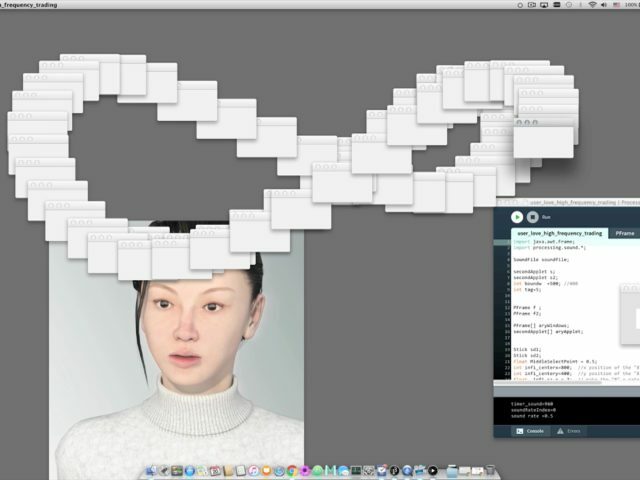 This video installation explores Miao’s own relationship with China’s hyperregulated online realm, which she views as a ‘Stockholm Syndrome’, a traumatic bonding. 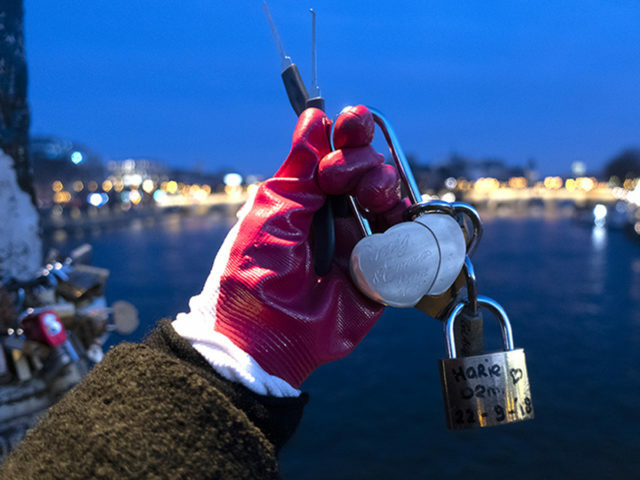 In this work Miao uses love locks left by lovers on the bridges of Paris as metaphor for the complex and conflicted relationship between China’s internet users and Chinese internet technology, security and access. As an artist from the first generation to grow up with China’s open policy and the internet, Miao explores in a humorous way the visual language of the Chinese internet and its users. 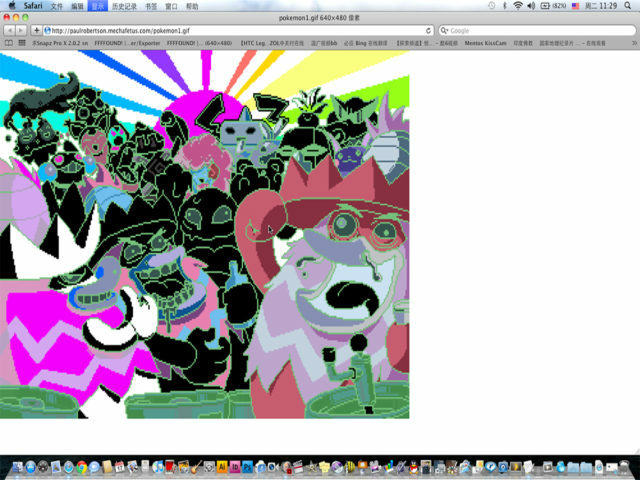 As with the other five artists featured in ‘Chinternet Ugly’ she works online, often using GIFs, screenshots and lo-fi visual elements alongside physical installations. Paying tribute to the messy humanity found between the cracks in a digital world of smooth transitions, polished selfies, blemish correcting software and autocorrect, ‘Chinternet Ugly’ celebrates lo-fi aesthetics and highlights the Chinternet’s potential to subvert cultural stereotypes, reject societal norms and generate a vibrant vernacular of satirical memes and online subcultures. ‘Chinternet Ugly’ has been co-curated in partnership with Dr Ros Holmes, Presidential Academic Fellow in Art History at the University of Manchester, who specialises in modern and contemporary Chinese art and online visual culture. Earlier this year I was asked to contribute an essay for a publication commemorating 30 years of the Centre for Chinese Contemporary Art (CFCCA). The Centre was formed in 1986 as the Chinese View Arts Association, a festival platform of art, music and dance whose purpose was to create an improved understanding of Chinese culture for UK audiences. Now in its third decade, the centre has become a well respected contemporary art gallery that regularly hosts exhibitions of emerging and established artists from Greater China, the UK and beyond, in addition to a lively and innovative programme of residencies, engagement projects, festivals and events. As the only non-profit organisation in Europe to specialise in Chinese contemporary art and visual culture, the publication marks the important contribution the Centre has made to the evolution of Chinese contemporary art practice over the last 30 years. The publication has been divided into five subsections, which tackle issues ranging from ‘Contextual Changes in China and Beyond’, ‘How Have Exhibitions of Chinese Contemporary Art Evolved?’, ‘Definitions of Chineseness’, ‘Talent Development’ and ‘The Future’ with each section including a series of essays and conversations that explore the work of the organization and its surrounding contexts. My essay features in the final section on ‘The Future’ and addresses how artists in China and beyond are responding to the changes wrought by the so-called ‘digital turn’, looking specifically at the impact of social media, the creative appropriation of pixelation and programming code and the role of internet art, online exhibitions and digital archives in the shaping of new spaces for art and its display in the twenty-first century. I have included a pdf of the essay, entitled ‘The Uses of the Future: Contemporary Art in the Digital Domain‘ in the publications section of this blog, which you can find here. With contributions from artists, writers and curators in the field including artists such as Xu Bing, Liu Ding and Gordon Cheung, and curators Hou Hanru, Biljana Ciric, Marko Daniel and many others, the publication has much to offer students, scholars and specialists of East Asian Art as well as those with a more general interest in contemporary art and visual culture. For anyone looking to purchase a copy, the book will be available to buy from Amazon from December onwards. Stills from Susan Pui San Lok, including ‘Notes on Return’ (2003), ‘After Words’ (2005), and ‘Vistas'(2005), single channel digital videos and digital video triptych.